This month the Renewal Institute officially launches the much anticipated Doctor's PRP (platelet rich plasma) system! PRP, often referred to by celebrities like the Kardashians as The Vampire Facial, is a specialised and advanced mesotherapy treatment. 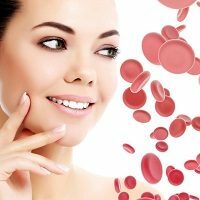 The patient's own PRP is extracted from their blood and used to perform one of the most successful and most talked about anti-ageing treatments in aesthetics. The new Doctor’s PRP system takes traditional PRP to a whole new level with its unique double centrifugation process, making the concentration of the PRP of the highest quality to ensure exceptional results. Find out more in this month's newsletter: New - The Vampire Facial!